Picross Beach Paradise is an exciting game for everyone who loves logic games and puzzles and an atmosphere of relaxation and freedom. An unforgettable journey to Cuba awaits you – see incredibly beautiful places and get a bunch of souvenirs! 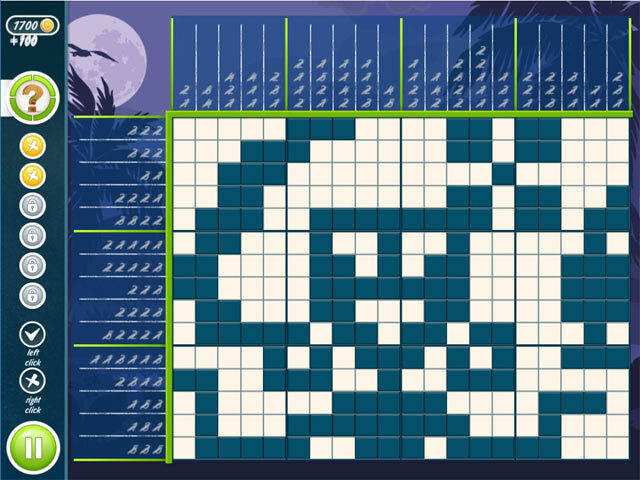 For those who play Picross Beach Paradise, the vacation begins right now! In 6 varied locations you’ll find 120 exciting nonogram puzzles, complete with excellent graphics and pleasant music. Everything you could want in a resort! Picross Beach Paradise is rated 2.0 out of 5 by 5. Rated 4 out of 5 by tachon from Great Logic Game! No paint by numbers, no pretty pictures, just a good, basic logic game. 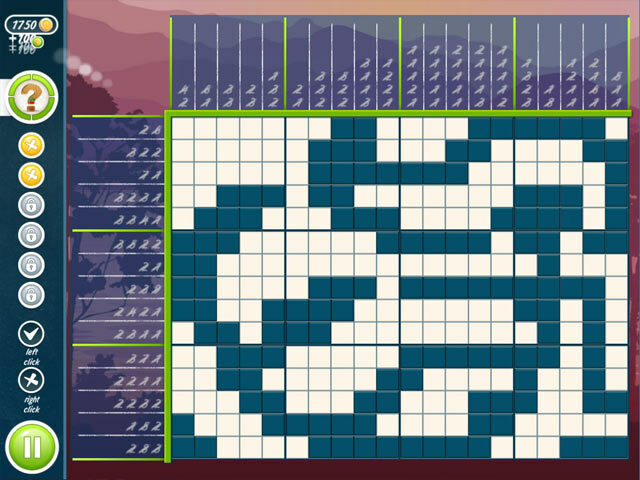 Please Big Fish, don't discontinue this type of picross...they're wonderful! Rated 1 out of 5 by Annielb from A Big Yawn This game is so boring I only made it to 5 boards before deleting it. Too much guessing required, no identifiable picture and one colour. Why waste money on this when you can buy Rainbow Mosaics?? Rated 1 out of 5 by pennmom36 from I WOULDN'T BUY THIS GUESSER GRIDDLER IN A MILLION YEARS I just don't get it. This developer keeps slapping a different title on the same handful of games and spits them out at a break-neck speed. Nothing has changed, and nothing ever will, it has the same music, the same options, the same features as the last picross they offered, and the one before that and the one before that, in fact, every game they have ever offered in every genre category has absolutely no changes whatsoever, and it's downright insulting. To me, it says that they don't care, why should they? If you mass produce something, someone's bound to buy it, so why work at improvement? If you have played any game by this dev, you'll immediately recognize the music, but why change a good thing? (I was being sarcastic btw) To make matters worse, the music becomes extremely loud when you finish the puzzle and the score pops up. You can earn 3 Stars if you don't make a mistake, and you can replay any level. Good luck with that, because after about 10 levels or so the logic part of these logic-based puzzles gets thrown out the window, leaving you with a good old-fashioned Guesser Griddler! Do you want to have the numbers crossed off one by one, or only when the entire row or column has been completed? Too bad, you don't get that option here. Want to use the right mouse button to cross off cells with an X? Well, sometimes it works, sometimes it doesn't! Want to tell the difference between the number 1 and the # 7, not an option! Do you want to know what image you just completed? Good luck, I have no idea what any of the grids I completed actually were, there will be no title or descriptions, never have been, never will. Would you like to choose between colors? You guessed it, what you see is what you get, Blue. What you will get, however, are the same familiar features (we already went over the music feature) 7 Locations with 20 puzzles in each location. You also get the exciting feature of brushing up on your picross skills through 7 Beginner levels and 1 Expert level, because 2 training levels for experts would just be ridiculous. You will earn coins when you "guess" correctly on some of the filled in cells. 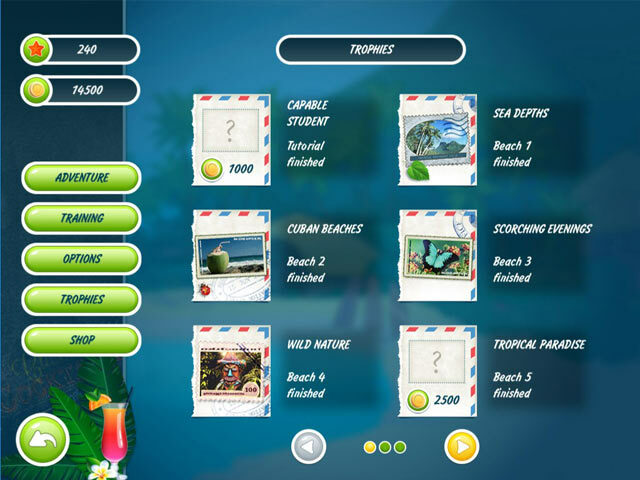 (hints are earned as well) These coins can be used to purchase a weeks vacation in beautiful...no wait, that's not correct. You can purchase the same 3 items in the Shop that are offered in all the Picross games by this dev. Two Starting Hints, the right to make 3 mistakes and refill the hints but only on that current level. I can hardly contain my excitement, think I'll go clean out a closet, that sounds way more interesting than this game. Rated 1 out of 5 by MrsBen from PICROSS BEACH PARADISE I'm sorry, but when I have painstaking worked through a "Picross" puzzle, which I enjoy doing, but end up with a picture? I can't identify and only one color in the design, I feel cheated....I didn't get my reward for solving the puzzle!!! :( I know someone put their heart into creating this puzzle, but you need the result to be an identifiable picture to make you feel you've accomplished something. Get ready for a romantic journey! 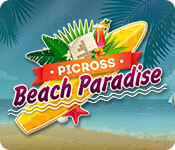 120 fun griddlers await you in Picross Beach Paradise!